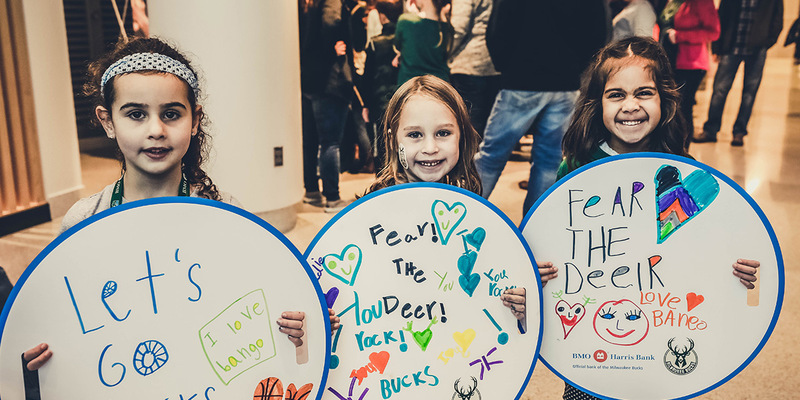 The Milwaukee Bucks are proud to bring you Bango's Kids Club sponsored by BMO Harris Bank. 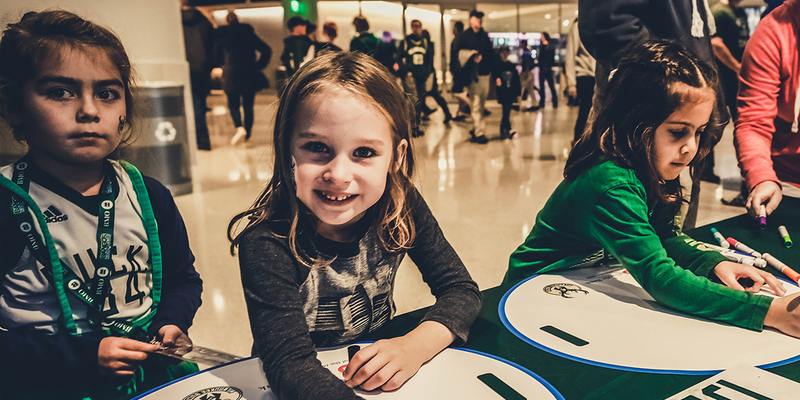 When you join Bango’s Kids Club, you will receive an official membership card, special gifts and discounts in Fiserv Forum, birthday wishes from Bango and more! To redeem your voucher/ticket please click here. For questions, please see program FAQs below, email kidsclub@bucks.com or call 414-908-3600. What ages are eligible to be part of Bango’s Kids Club? All Bucks fans 14 years old and younger can join Bango’s Kids Club. What Bango’s Kids Club Memberships are available? 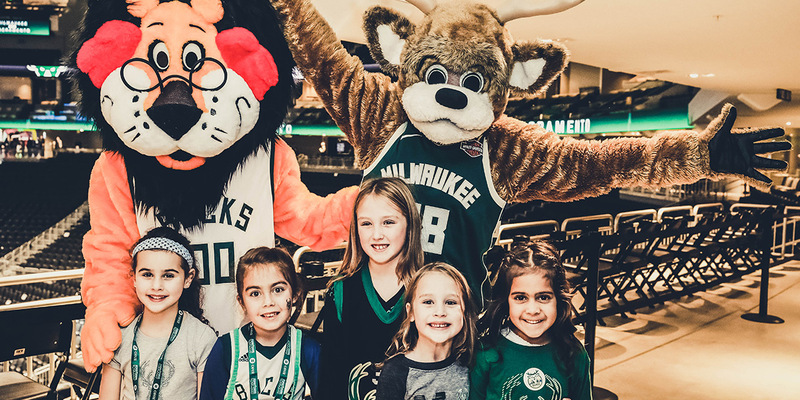 There are two types of memberships available for Bango’s Kids Club, one that is our paid All-Star package and the other is our free Rookie Package. Can I order multiple packages and have them shipped to different locations? Yes, however, split delivery is not available with Bango’s Kids Club packages, so if you would like to order multiple packages and have them shipped to different locations, you should complete those transactions separately. 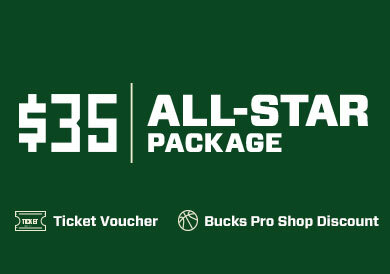 How do I receive my Bucks Pro Shop discount? 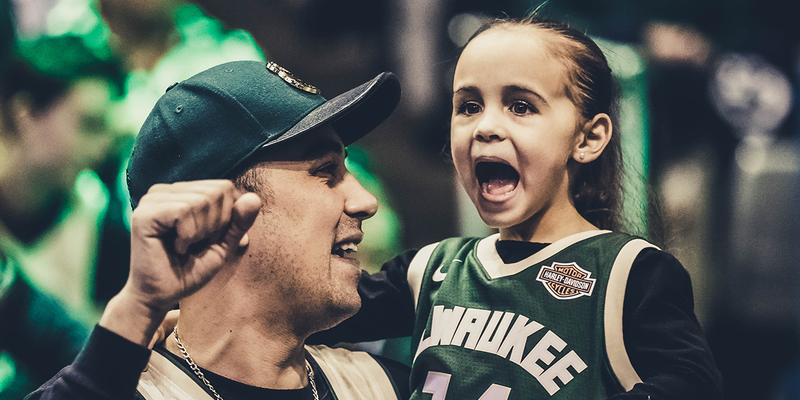 To receive your 10% discount of $15 or more at the Bucks Pro Shop, simply present your Bango’s Kids Club Member ID card to the cashier at the time of purchase. *Discount valid on Bucks merchandise in Bucks Pro Shop arena locations on Bucks game days. May not be combined with any other offer, coupon, or discount. Not valid on personalized items, Bucks Authentic/Memorabilia merchandise, Tissot, sale items, prior purchases, or gift cards. No cash value. Card must be present/used to be eligible for discount. Additional exclusions may apply. How do I redeem my ticket voucher? 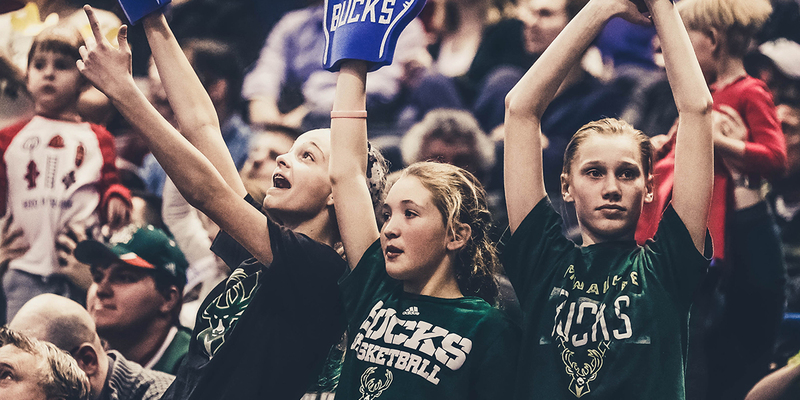 Ticket vouchers can be redeemed online by visiting Bucks.com/KidsClubTix to select a game date and redeem. Select games only and subject to ticket availability. The ticket voucher will be shipped along with your kit of goodies. To redeem for the free ticket you must also buy an adult ticket along with it. Kids Club tickets do not go on sale until October 8, 2018. Yes, your voucher may be used as a credit towards a ticket in select upgrade locations, subject to availability. Vouchers are not valid with any other discount or programs. 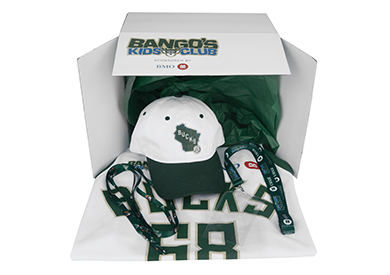 Where can I find more details on Bango’s Kids Club events throughout the season? Please check your email frequently for information on Bango’s Kids Club nights at the arena along with other events and special offers. Are there different sizes for the jerseys? The replica jersey is offered in five sizes: Youth Medium, Youth Large, Adult Small, Adult Medium, Adult Large, Adult Extra Large. Please choose the correct size for your child when registering for the paid version of Bango’s Kids Club. If I am ordering this package for someone else, can I have it delivered directly to their address? Absolutely. Simply input their address in the Delivery Address field. When can I expect delivery of my Bango’s Kids Club package? For both the paid and free version you will receive a welcome envelope in the mail within seven to ten days of signing up for the club. Paid members will receive their box of goodies within 2-3 weeks. September registrations will not receive their box of goodies until the month of October. 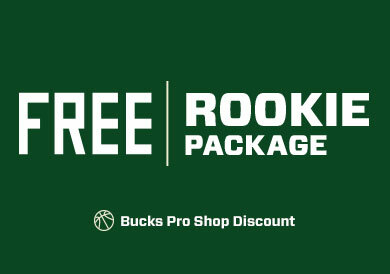 * Discount valid on Bucks merchandise at Fiserv Forum Bucks Pro Shops on Bucks game days through 6/30/19. May not be combined with any other offer, coupon, or discount. Not valid on personalized items, Bucks Authentic/Memorabilia merchandise, Tissot, sale items, prior purchases, or gift cards. No cash value. Card must be present/used to be eligible for discount. Additional exclusions may apply. † Complimentary ticket valid with the purchase of at least one (1) additional ticket. Select games only and subject to ticket availability. Restrictions apply.